A roadside blast has killed two Vietnamese tourists and injured 12 other people on a bus near the Giza pyramids in Egypt, the Egyptian ministry of interior says. 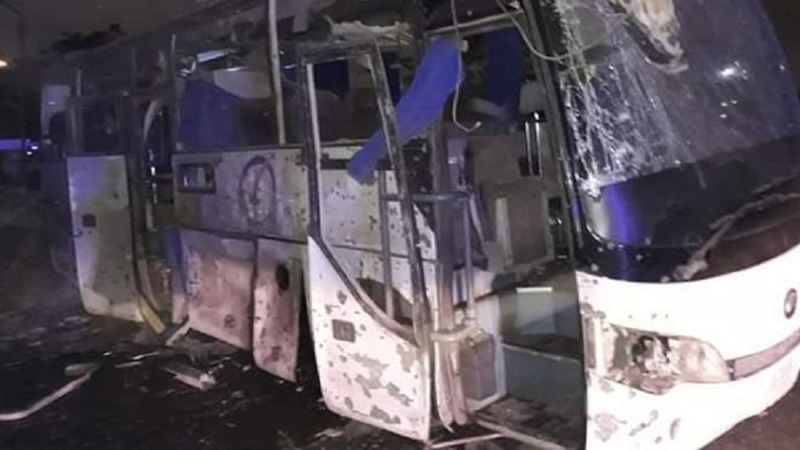 A bomb hidden beside a wall went off as the bus carrying 14 Vietnamese tourists was passing, it adds. Two Egyptians, including the bus driver, are among the injured, according to the ministry.